Extreme volatility has rocked global stocks as investors worried about a military standoff between Ukraine and Russia. 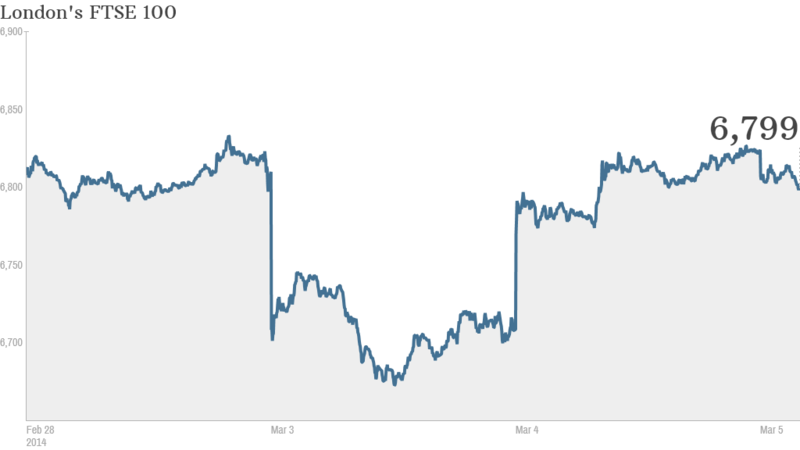 Global stocks were mixed Wednesday as uncertainty continued to hang over Ukraine. Russia's main stock index closed 0.4% lower, with European markets also ending in the red. Some Asian markets ended with gains -- Japan's Nikkei rose 1.2% and Australia's ASX All Ordinaries added 0.8%. But China's benchmark Shanghai Composite closed down 0.9%, and Hong Kong's Hang Seng fell 0.3% as China launched its annual parliamentary meetings in Beijing. It's been a roller-coaster ride this week for world markets with a Monday plunge and a Tuesday surge as investors reacted to unfolding tensions in Ukraine. 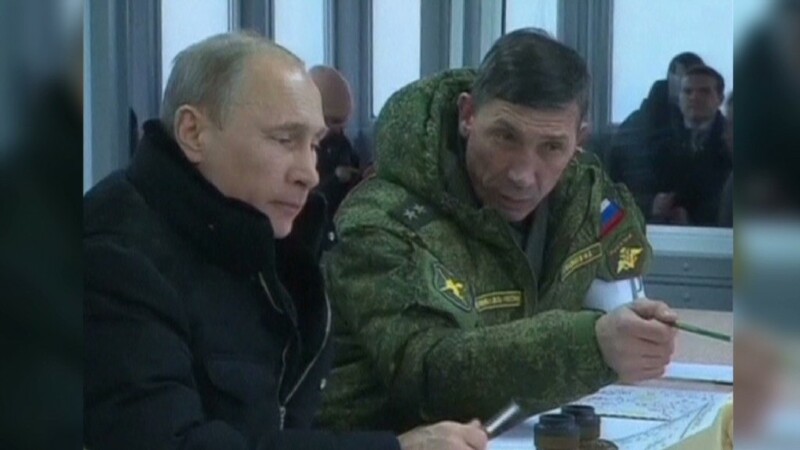 Investors had yanked out of stocks as the potential for a military conflict between Ukraine and Russia increased. Pressures have since eased, balancing global markets. World leaders have continued to threaten international sanctions against Russia if the situation worsens. On Tuesday, the U.S. announced that it would suspend key trade and investment talks with Russia. "Russia is jeopardizing its relationship with the West and focusing purely on military interests, even at the risk of economic consequences," ING Investment Management's Maarten-Jan Bakkum said in a statement. "The economic interests are all so great and no one, therefore, benefits from this situation." Aside from a political and military crisis, the country of 45 million remains on the brink of economic disaster. The European Union offered $15 billion in financial assistance Wednesday. The U.S. has pledged a $1 billion aid package, and the International Monetary Fund is on the ground to assess the situation as it considers providing financial support. But it's unclear if support from the international community will do the trick -- or if it might be too little, too late.